So, here's some pics of the tank, headlight bowl and exhaust guard at the painters. 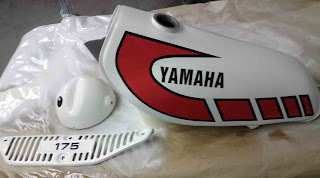 I sent the decals (from eBay) to the painter too. 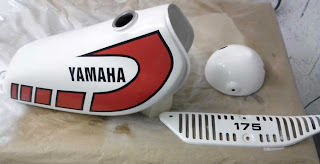 So, he painted, applied the decals and lacquered the whole lot. 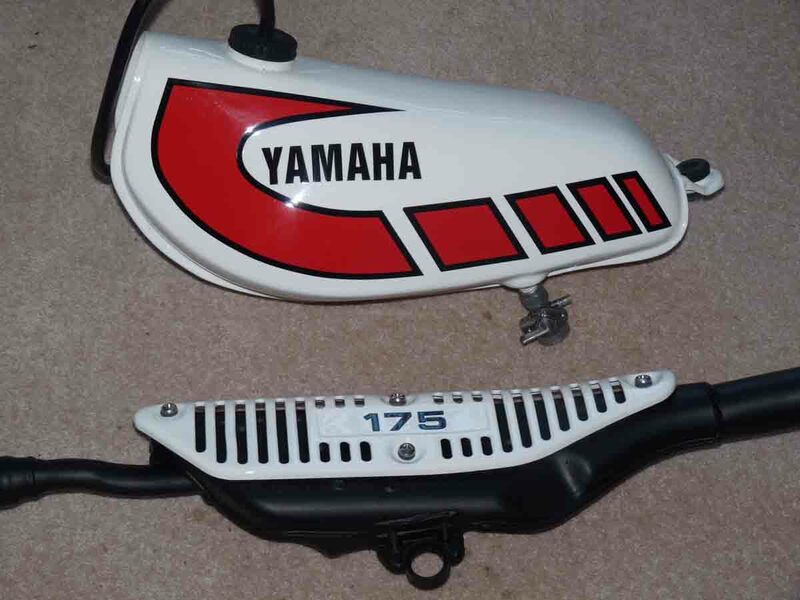 I believe the paint used was Yamaha Clean White. Very nice job. And here I've rebuilt the petcock with all genuine NOS gaskets, etc, and added a brand new filler cap, cork washer and breather tube, and NIS rubber mounting damper. 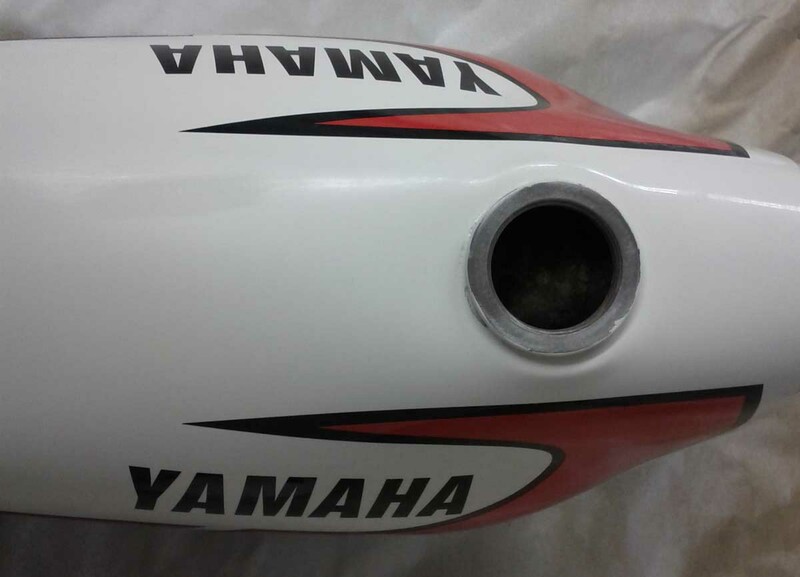 The exhaust guard is also mounted with NOS genuine Yamaha fibre anti vibration washers and NOS Yamaha screws.